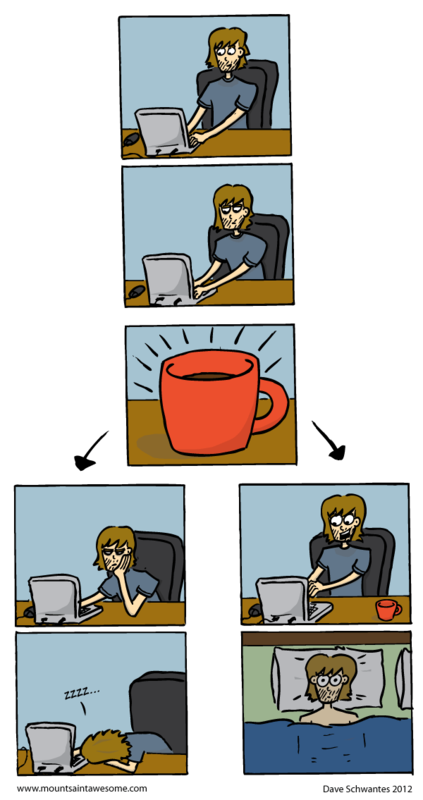 This comic was inspired by a late night coding session last week. I, of course, took the path on the right. I finished my work around 1am, but didn't get to sleep until 3:00. I actually had some words to go along with this comic, but I think it works pretty well without anything. Thoughts? I'm still posting stuff on the Mount Saint Awesome Facebook page every once in a while, so you should certainly be checking that out. It works very well without words!